Police have released CCTV in a bid to identify the driver involved in a hit and run which left the victim with serious injuries. 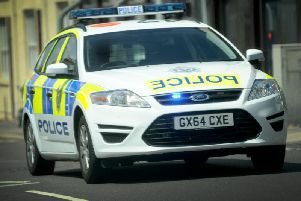 A 53-year-old man was hit by a Fiat 500 as he crossed Montague Place in the Kemptown area of Brighton at 3.40pm on January 14. The Fiat was being driven along Bristol Road before turning left into Montague Place where it collided with the man crossing the road. It didn’t stop at the scene and can be seen to carry on along Montague Place and turn right into College Street. Sergeant Dan Pitcher said: “We are very keen to trace the drivers of the taxi, the silver van, the dark Ford Focus and the black parked car. We think you could give us vital information we need to identify the driver. “Were you the taxi driver and do you have a dash camera which may have captured the Fiat as it drove past? Were you in the silver van and did you notice who was driving as the Fiat approached the junction? The Ford turned before the Fiat and you may have seen something in your rear view mirror. We believe the woman in the parked car was in it during the time of the collision, did you see what happened?